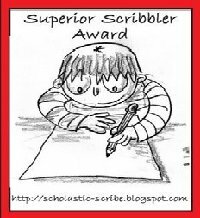 snow + award = happy day! I now give you the rules. 2. Link to me for giving it to you. 3. 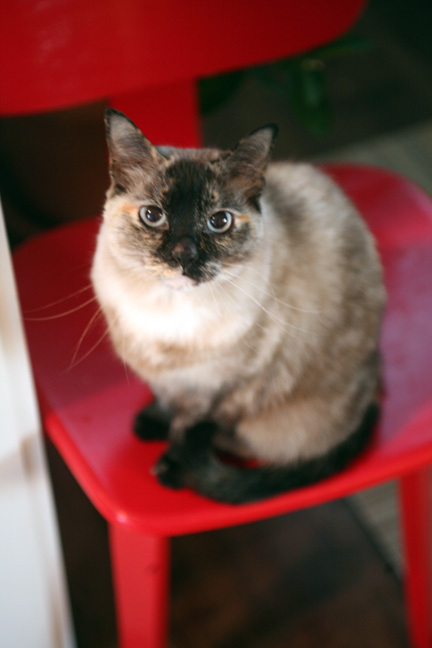 Erica at Itzy's Kitchen. Erica has great, quick recipes...especially her breads! I am always looking for healthy, fast bread options and I find myself constantly turning to her blog for ideas. Plus, she makes simply pleasing dinners that would be satisfying for both me and my husband, which is no small feat. 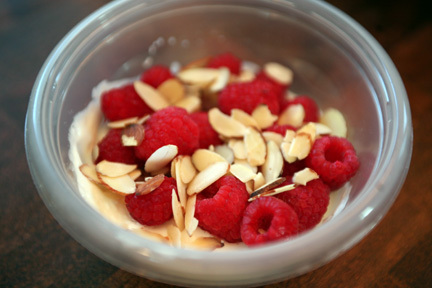 Breakfast: One 5.3oz container of plain Oikos with a handful of fresh raspberries and sprinkling of sliced almonds on top. I mashed the raspberries up so the juice colored the yogurt pink...tasty and pretty at the same time. 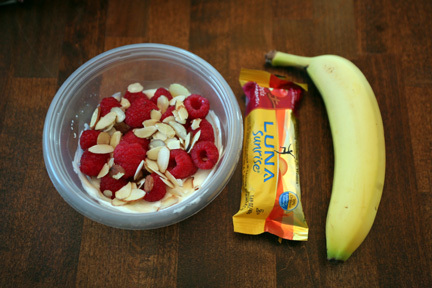 :) Also, I've pictured a Luna Sunrise Apple Cinnamon bar and a banana, but I decided to save the banana for a snack since I am now REALLY full and over-calculated my breakfast calories. 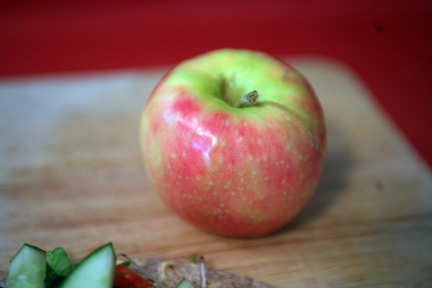 Lunch: Another veggie wrap and apple combo, exactly the same as yesterday. 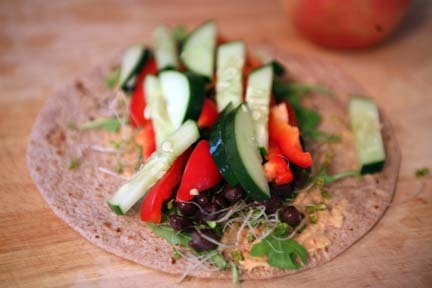 :) Its a quick, filling lunch and I really enjoyed the added boost the black beans gave me. Plus, I have WW tortillas in my fridge that I must use up. Don't be surprised if you see another of these beauties on tomorrow's post. 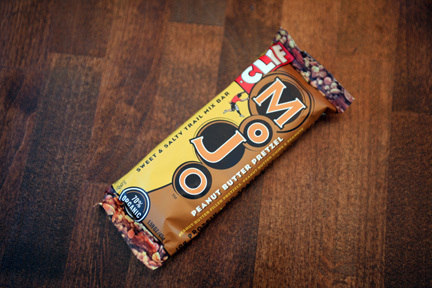 Snack: Clif Mojo Peanut Butter Pretzel bar. This is my first Mojo bar experience so expect a product review later!